RIGHT SPEAK: With Illegal Immigration Again Surging, Why Is Congress Doing Nothing? Last week's startling immigration news was not President Trump's alleged vulgar characterization of certain countries of origin. 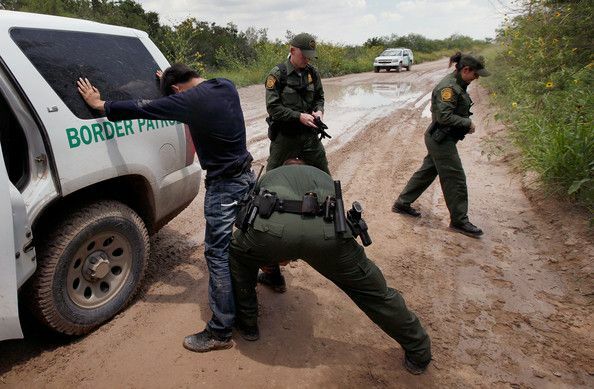 It was the release of data showing a resurgence of illegal immigration. A New York Times article reported "After Pause, Migrants Are Surging Into U.S. At the Southern Border." There is simply no excuse for allowing the southern border to remain unsecured. Yet, successive presidents and Congresses have done so. If any issue was central to Donald Trump's election, it was a commitment finally to secure the border. It is a position deserving of full Congressional support. That means giving the administration all the funds that it has requested of Congress — everything — to build the wall, to install the latest security technology, to expand the ranks of border agents dramatically, to double or triple detention facilities so that no one apprehended at the border need be released, to hire many more immigration court judges so that the ever-increasing colossal backlog of cases can be resolved and reduced, to implement biometric identification and tracking systems to prevent visa overstays. To deny funds to secure the border is to advocate illegal immigration. The record of the last quarter century and the current resurgence show that half-measures simply do not work. Read the rest from Red Jahncke HERE.